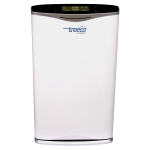 TC-405U features Treeco’s 6 step Ultra Fine Purification Process. 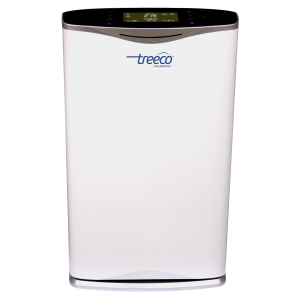 Treeco Max pre-filter removes dust particles, pet hair, dander, etc of 5 microns or bigger helping elongate the life of the HEPA filter. The Ultra fine HEPA filter used is of the highest quality to remove particles upto .3 microns effectively and efficiently. It has a large LED display showing Room temperature, Room Humidity. PM2.5 rating is displayed on the display showing the amount of PM2.5 particles present in the air in the room. With the help of the air quality sensor, TC-405U features an intelligent auto mode which varies purification speed automatically.